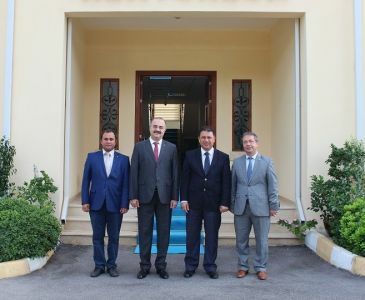 ITU-TRNC Rector Prof. Dr. Ercan KAHYA went to Kayseri on April 5, 2018. 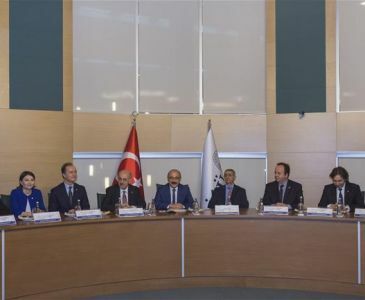 His visit in Kayseri started with a campus tour of Abdullah Gül University (AGU) Sümer Campus and then continued with Rector KAHYA’s presentation about Turkish Republic of Northern Cyprus and ITU North Cyprus Campuses. Following the presentation of AGU Vice Rector Prof. Dr. Cengiz YILMAZ, the two institutions signed an agreement protocol. According to the protocol, universities agreed on issues such as student exchange, short-term programs and trainings, researcher and lecturer exchange, collaboration on research projects and publications, organization of joint seminars and conferences, and organization of social and cultural activities. After the signing ceremony, Rector KAHYA attended the meeting of AGU Civil Engineering Faculty.